The United States Tennis Association is pleased to offer the official Android app for the 2017 US Open Tennis Championships, designed and developed by IBM. 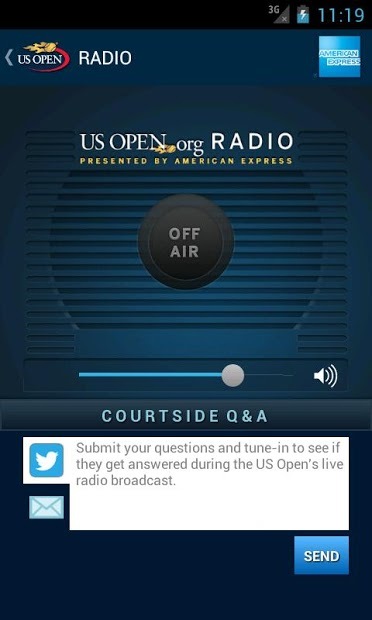 Key features include: Latest The interactive home screen offers fans an immersive exp... see more The United States Tennis Association is pleased to offer the official Android app for the 2017 US Open Tennis Championships, designed and developed by IBM. Latest The interactive home screen offers fans an immersive experience into the US Open with immediate access to live scores and latest news, photos, and videos. 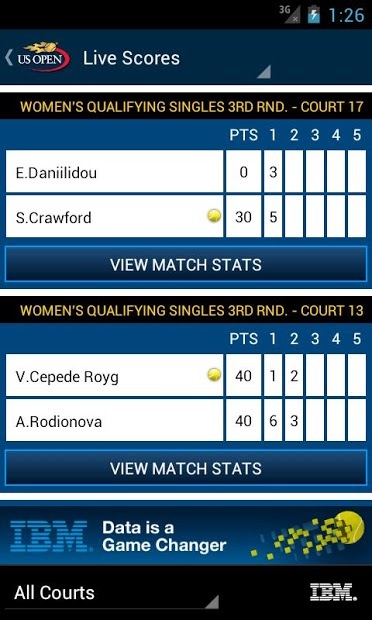 Scores – Analytics & Insights by IBM LIVE exclusive point-by-point scoring updates, completed match results, statistics, match insights and IBM Keys to the Match during the US Open. Your digital concierge, a chatbot that will answer your questions in real-time all powered by Watson. Guest Information is your source for all your US Open questions ranging from transportation, on-site food & drink, scores, schedules and more. 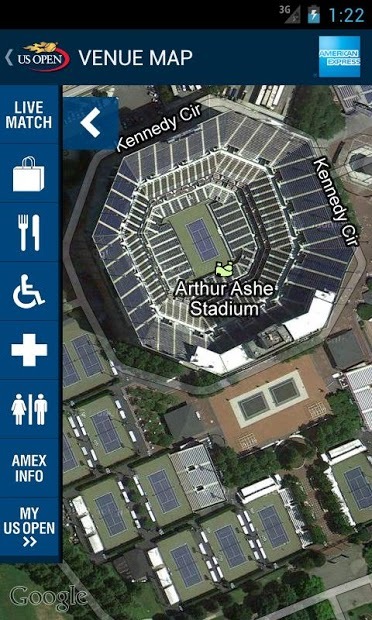 The US Open interactive grounds map is your mission control to best navigate the grounds. Find out the score on every court, where to find a drink or your favorite food, and where to map out your next move. Buy and manage your tickets securely through the official app. 2017 US Open Tickets are now Mobile. Use your phone to scan your ticket at the US Open gates. Live Streaming, Highlights, Official Schedule of Play, Player Bios, Draws, Event Guide, CHASE Charge & Watch, and Bracket Challenge.